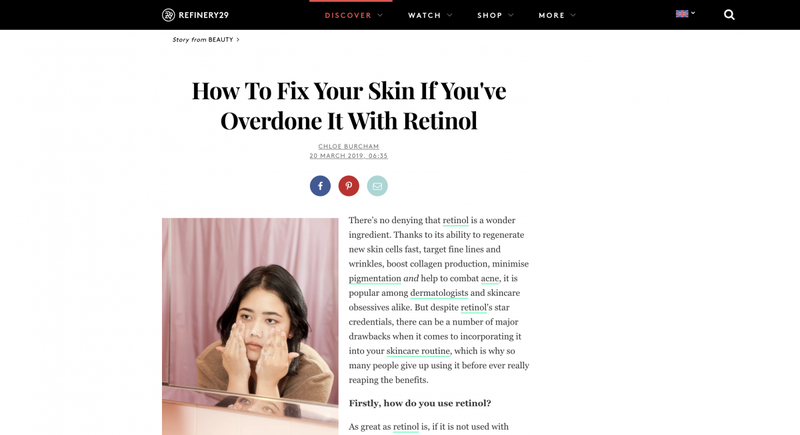 Dr Meder recommends measures to undo the damage of overusing retinol. Cosmetic dermatologist Dr Tiina Meder recommends incorporating skincare products that contain centella asiatica extract into your routine, as it soothes, hydrates and desensitises skin quickly and effectively, lessening the risk of hypersensitivity. Read the full article at Refinery29.